Downtown Phoenix Journal asked Marlene to contribute to their Placemaking editorial series. 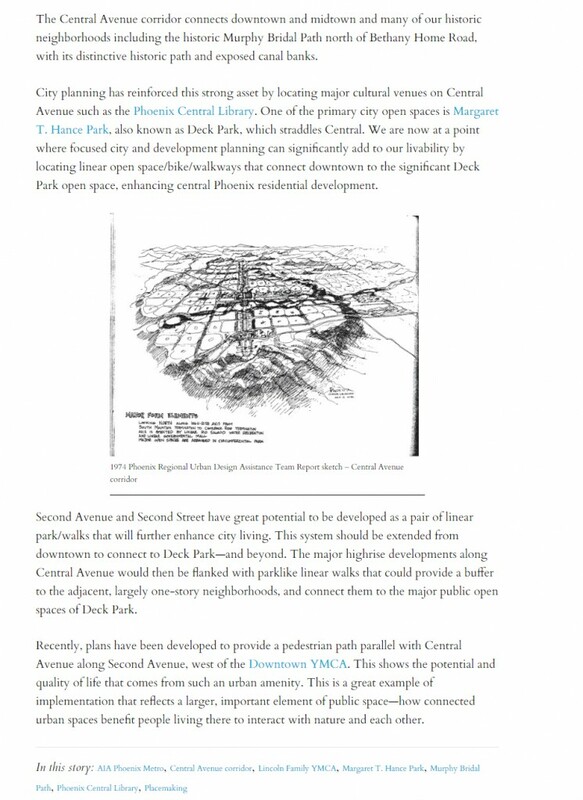 The article “Central Corridor Open Space” was published on 5/7. 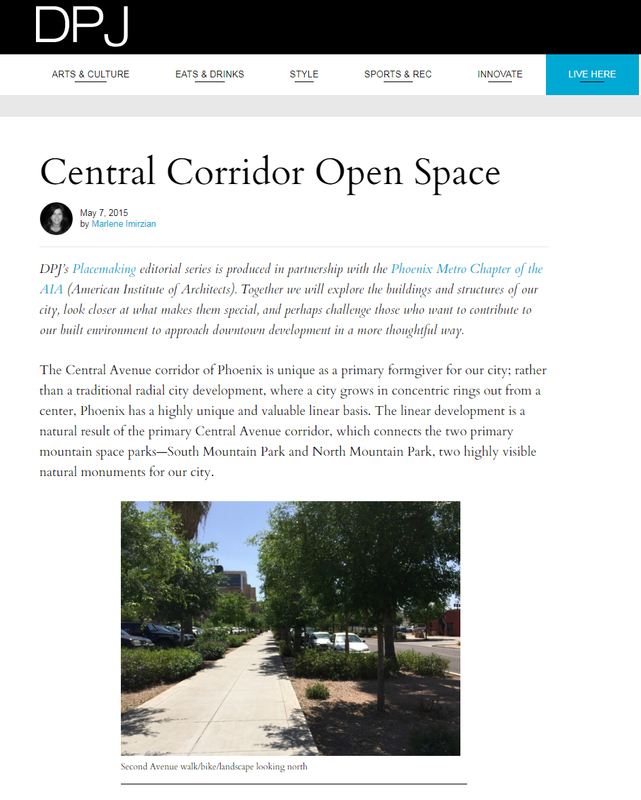 Downtown Phoenix Journal’s publication is produced in partnership with the Phoenix Metro Chapter of the American Institute of Architects.